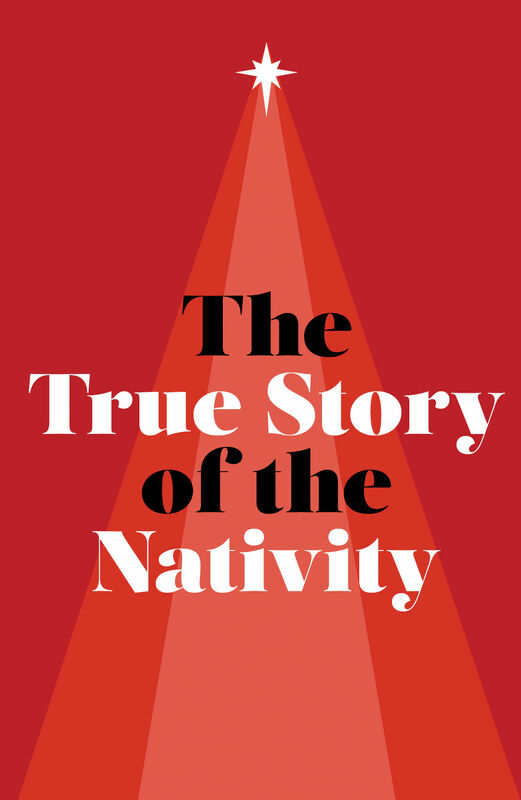 Drawing us back to the Bible, John MacArthur uses the true story of Jesus’s birth as a point of wonderment and awe in order to help the reader recognize their true need for the Messiah. The story of the first Christmas is so beloved that singers and storytellers across the centuries have embellished and elaborated the story in celebration. Most people don’t know, however, which details are biblical and which are fabricated. People usually imagine the manger scene with snow, singing angels, many worshipers, and a little drummer boy. None of that is found in the biblical account. Christmas has become the product of an odd mixture of pagan ideas, superstition, fanciful legends, and plain ignorance. Add that to the commercialization of Christmas by marketers and the politicization of Christmas in the culture wars, and you’re left with one big mess. Let’s try to sort it out by beginning in God’s Word, the Bible. We can’t know Jesus if we don’t understand he is real. The story of his birth is no allegory. Mary and Joseph were real people. Their dilemma on finding no room at the inn surely was as frightening for them as it would be for you or anyone else. The manger in which Mary laid Jesus must have reeked of animal smells. The first Christmas was anything but picturesque. But that makes it all the more wondrous. That baby in the manger is God! Immanuel—God with us! That verse is explicitly referencing a lonely birth. There were no midwives, no one to help Mary at all. Mary brought forth the child; she wrapped him in swaddling cloths; and she laid him in a manger. Where typically a midwife would clean the baby and wrap him, there was no one. Mary did it herself. And where typically there would have been a cradle or basket for the baby, there was nothing but an animal’s feeding trough. When Christ entered the world, he came to a place that had some of the smelliest, filthiest, and most uncomfortable conditions. But that is part of the wonder of divine grace, isn’t it? When the Son of God came down from heaven, he came all the way down. He didn’t hang on to his equality with God; rather, he set it aside for a time and completely humbled himself (Philippians 2:5–8). In the Gospel of Luke, the author describes the experience of the shepherds at the first Christmas, when Jesus was born. Think about the shepherds for a moment. God picked a band of people among the lowest and most despised social groups to hear the news of Jesus’s birth. The very nature of shepherds’ work kept them from entering into the mainstream of Israel’s society. They couldn’t maintain ceremonial washings and observe all the religious festivals. Yet these shepherds, just a few miles from Jerusalem, were undoubtedly caring for the sheep that someday would be used as sacrifices in the temple. How fitting that they were the first to know Jesus, the Lamb of God! More significant, they came to see him the night he was born. Though the shepherds went back and told everyone what they had seen and heard, and though “all who heard it wondered at what the shepherds had told them” (Luke 2:18), not one other person came to see firsthand. The shepherds knew for certain that the angels’ announcement was a word from God. After their encounter with Joseph, Mary, and Jesus, the shepherds couldn’t help but tell others what the angels had told them. The same good news that caused the shepherds to return to their fields, “glorifying and praising God for all they had heard and seen,” (Luke 2:20) is the good news that has been given to all humanity through the true story of the nativity. When God sent his one and only Son to earth, his glorious story of grace and redemption for all humanity was set in motion. Even though Jesus was fully human and was tempted by sin, just the same as everyone else, he remained sinless—the perfect sacrifice to pay for the sins of the world. Three days after Jesus was put to death by crucifixion, he was raised from the dead and now sits at the right hand of God, offering you the gift of eternal life. The free gift of eternal life is received by genuine belief that Jesus has saved you from sin. The Bible says, “All have sinned and fall short of the glory of God, and are justified by his grace as a gift, through the redemption that is in Christ Jesus” (Romans 3:23–24). PRAY: Dear Jesus, I know that I am a sinner and need your forgiveness. I believe that you died in my place and rose from the grave to pay the penalty for my sin. Come into my life as my Savior and cause me to love you and others in a way that pleases you. Thank you for saving me so that I can receive peace and eternal salvation in the new heavens and new earth.